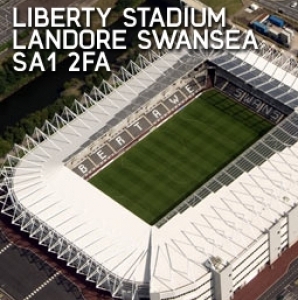 The ICT for Education national conference programme reaches Swansea on 12 December 2013 at Liberty Stadium. Meet the experts, network with peers, solve practical problems and discover new resources in just one short day - free of charge! Pick up your conference badge(s) from Reception on the day. If you would like to bring colleagues, they can register before the event or on arrival. We look forward to meeting you in Swansea. This presentation will cover the Hwb+, describing how it is being used to raise standards in literacy and ICT, the impact it has on the motivation and engagement of pupils, and its role in strengthening home to school links. It will also cover the work of Barry Island Primary School’s digital leaders. Getting into the Christmas spirit, Dave will share nine lessons (and no carols) about successful and less successful attempts to make the best use of ICT for teaching and learning at Olchfa School in Swansea. Question Time: Are schools providing suitable and sufficient ICT education to support pupils as they enter the workplace and to satisfy employers? In an attempt to get into the Christmas spirit, Dave will share 9 lessons (and no carols), reflecting on the successes and failures of the attempts to make the best use of ICT possible as a tool for teaching and learning at Olchfa School in Swansea. Bring your own mince pies.